When do you take the keys away? Consider it a warning sign: By the year 2031, the number of elderly drivers – persons 70 and over – is predicted to triple in the United States, according to the consumer website www.SmartMotorist.com. It means there’s going to be a large increase of older drivers on the road. Despite the fact that many older drivers voluntarily change driving habits as they age by doing things such as avoiding night-time driving or busy interstates, statistics show that older drivers are more likely than younger ones to be involved in multi-vehicle crashes, particularly at intersections. 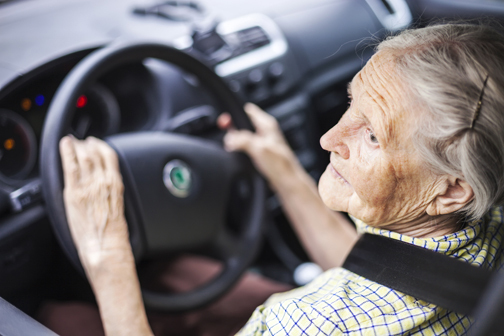 How do you know when an aging parent has reached the point where they should stop driving altogether? When do you take away the keys, and how to you get their cooperation? What warning signs should you be on the lookout for? “Look for things like dings or scrapes on the vehicle that weren’t there before,” says Christy Horner, an occupational therapist at Vanderbilt Bill Wilkerson Center. “They might not have a good explanation and might not know how it got there. Also, check for any fender benders with a mailbox or garage wall. Horner works in Bill Wilkerson Center’s Driver Rehabilitation Program and evaluates individuals with medical diagnoses to determine if they are able to drive a vehicle safely in a variety of environments. If patients have been deemed unsafe to drive but able to benefit from intervention, the program trains individuals to drive with increased safety. Common diagnoses of patients in the program include conditions common among the aging – stroke, low vision, amputation, dementia or diseases such as Parkinson’s. Horner is a certified driver rehabilitation specialist and often works with seniors and their physicians and families, to determine if it’s safe for an elderly client to resume driving after a major health or medical change or if it’s time to stop driving altogether. -- Consider communicating with neighbors or other community members such as church friends, to find out if they’ve seen anything that concerns them about a loved one’s driving habits. -- Lean on a primary care doctor for support. If you aren’t going to the appointment with your aging family member slip them a note and ask them to address the issue with them. Talk about alternative transportation options such as Uber and Lyft, a car service or public transportation options.